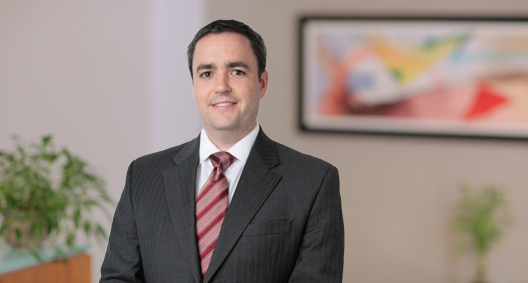 Doug Shively focuses his practice on business and corporate litigation. Doug has substantial experience litigating securities class actions, data breach class actions and a broad range of business disputes, including post-transaction disputes. Defended a publicly traded consulting firm and its chief financial officer in a stock-drop case in the United States District Court for the Southern District of New York. Obtained dismissal with prejudice of all federal securities claims. The claims, brought under Sections 10(b) and 20(a) of the Securities Exchange Act of 1934, related to financial disclosures and statements regarding the company's office culture. Defended a multistate hospital system in a putative class action arising from a data breach of the hospital's email system. Obtained dismissal for lack of Article III standing in the United States District Court for the District of Maryland. Subsequently obtained dismissal for failure to state a claim in Maryland state court. Represented an international steel company in a multiforum, post-transaction dispute with a competitor, including a purchase price adjustment dispute, indemnification claims, litigation regarding control of a joint venture and bankruptcy litigation. The matter was settled on favorable terms after three years of contentious litigation. Defended a publicly traded financial institution in multiforum shareholder derivative litigation related to its proposed $3.4 billion merger with another financial institution. Negotiated a favorable settlement to prevent delaying the consummation of the merger. Defending an aircraft component manufacturer against a putative federal securities class action in the United States District Court for the Southern District of New York. Obtained dismissal of all federal securities claims. The claims, alleging violations of Section 14(e) of the Securities Act of 1934, arose from the company’s sale by tender offer to another publicly traded entity. Defending a publicly traded financial institution against securities claims brought under Ohio's blue sky laws. Obtained dismissal in the United States District Court for the Southern District of Ohio. Successfully defended the dismissal on appeal to the United States Court of Appeals for the Sixth Circuit. Defended an international hotel chain in a putative class action in the United States District Court for the Northern District of Illinois arising from a data breach of the company's payment card systems. Obtained dismissal after two rounds of briefing and targeted discovery into the plaintiff's standing to sue. Defended a multistate hospital system in a putative class action in the United States District Court for the Northern District of Ohio arising from allegations that the hospital maintained inadequate data security that left its medical records systems vulnerable to cyberattack. Obtained dismissal of all claims. Defended a lighting products company in post-transaction arbitration involving indemnification, misrepresentation and fraud claims related to the company's sale of a division to another entity. Negotiated a settlement on favorable terms after obtaining dismissal of the majority of the claims. Defended an international steel company against claims of tortious interference with contract and civil conspiracy brought by a former supplier. The matter was settled on favorable terms on the eve of trial in the United States District Court for the Northern District of West Virginia.